How to Buy Last-Minute Alhambra Tickets at Midnight | Ellen Says Hola! 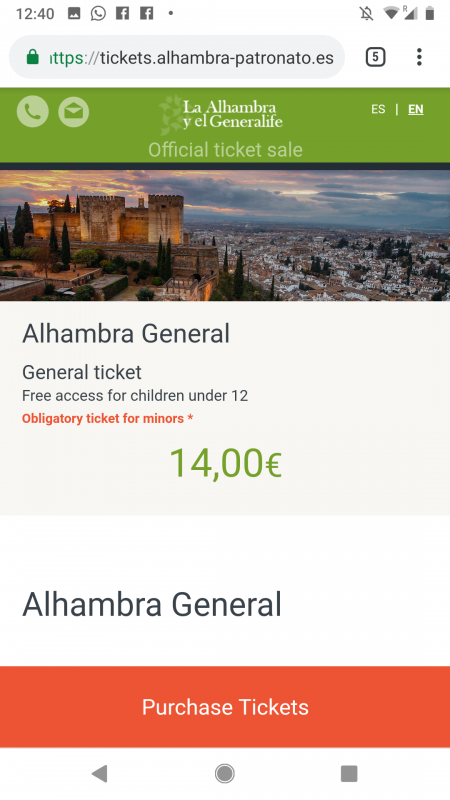 If you find yourself in Granada, and somehow didn’t realize how big a deal the Alhambra is (like I didn’t), and therefore didn’t purchase tickets the recommended two months in advance, I have some promising news for you! You aren’t destined for FOMO. But you do have to pay attention and be quick. First you need to do some prep work. 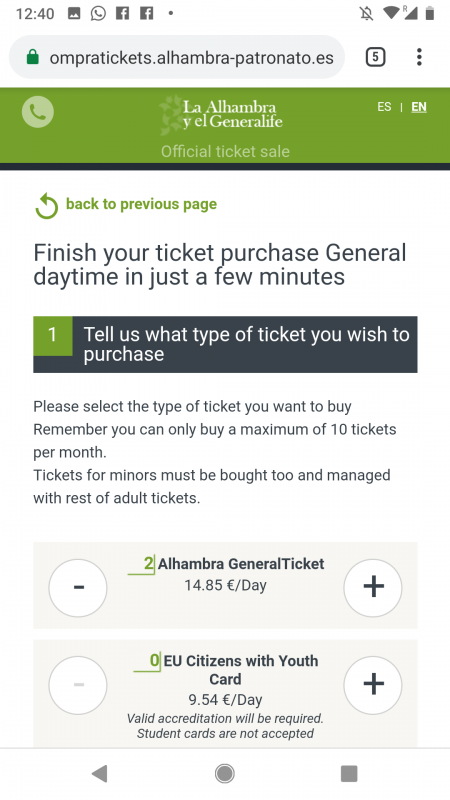 I recommend clicking through the purchase process as if you were buying tickets for a different day so that you know what to expect on each page, and how your computer or phone will load the pages. The “General Ticket” (14.85€) entry will get you into everything (including Nasrid Palaces). I set an alarm for 11:45pm so I wouldn’t miss my window (we were out eating Granada’s famous tapas), and used my phone to purchase tickets. You do have to start the process *after 12:00am*. In my case, tickets finally showed up at 12:01am. 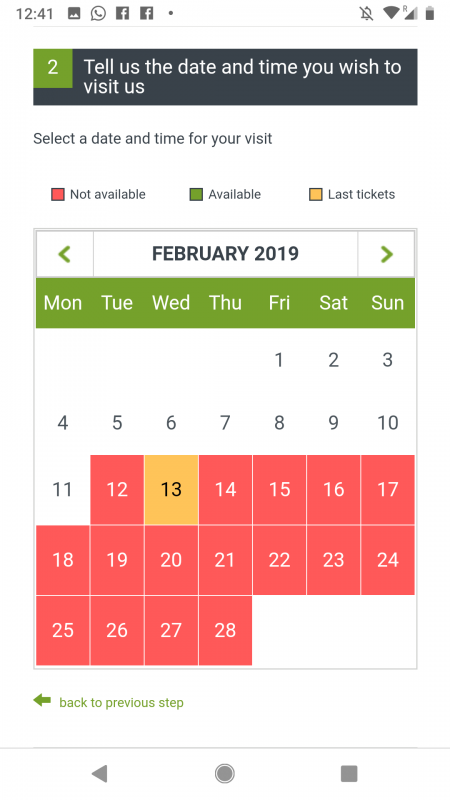 After ticket quantity is the calendar-select page. If you refresh from this page, you’ll only be kicked back to the select-quantity page, which at least saves you two taps from the beginning. If you have a large-ish group (4+), choose a time with double-digits. We were four people and our time slot reset because someone was faster than me! 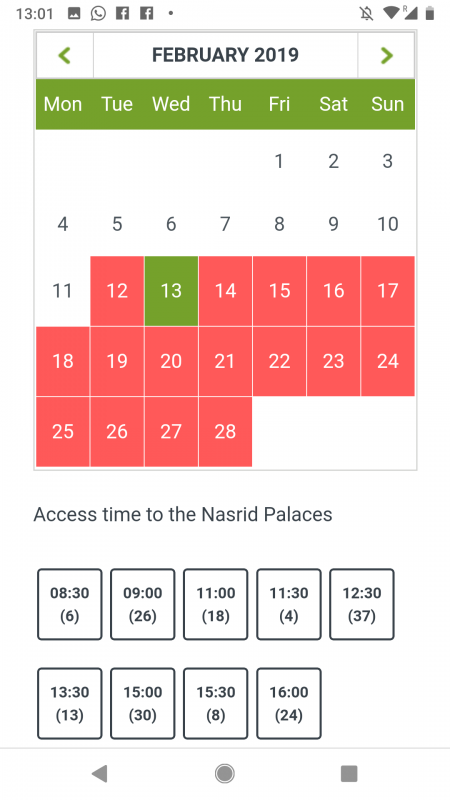 Remember, these times are for when you enter the Nasrid Palace! See below for my suggested visit timeline. At this point, be very careful about switching between apps if you’re using your mobile. Sometimes it held on to my selection, and sometimes it refreshed and kicked me back to the choose-quantity page. After THAT you have to put in your credit card info. This is where we got EXTREMELY lucky. When I entered my credit card info, and clicked Go, the screen went totally black and did nothing for a long time. So long, that I turned my screen off and started walking home (a bit dejected). 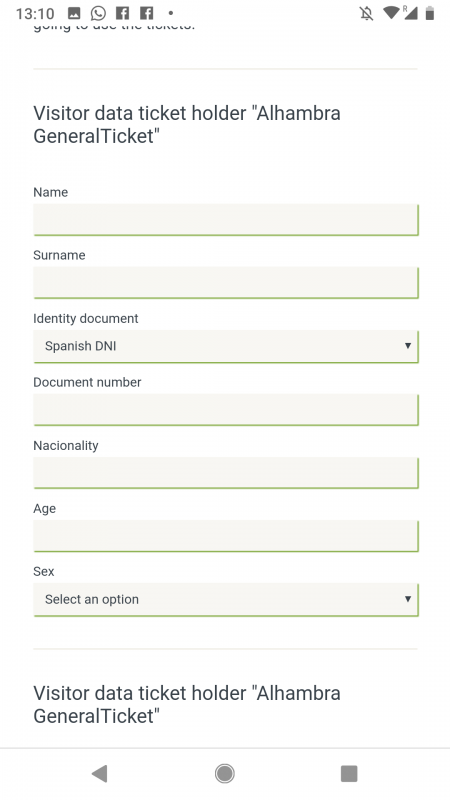 Then, because I had only turned off my screen without closing the window, when I unlocked my phone again, there was the “Verified by Visa” screen asking where to send the verification code to confirm my identity! 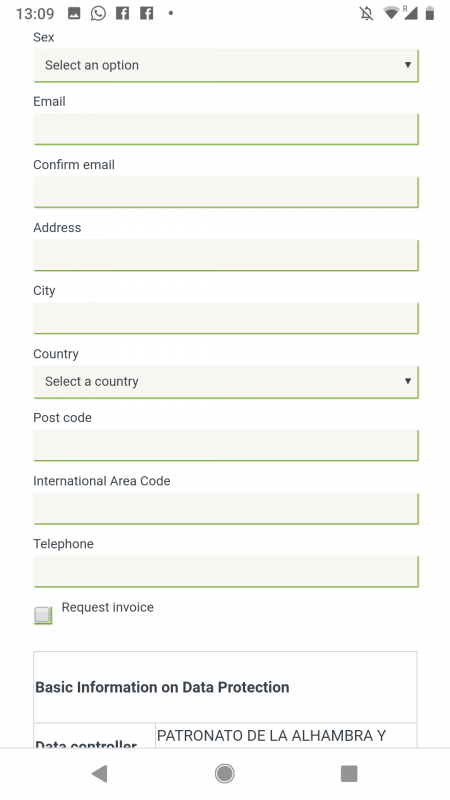 Once I did that (it gave the option of phone number or email; I chose email) and entered the verification code, I was immediately redirected to the confirmation page and an email with the ticket PDF showed up in my inbox within seconds. So the moral of this step is: BE VERY, VERY PATIENT and cross your fingers and toes! Once you have the PDF, you’re good to go! I presented the tickets on my phone (no need to print them). 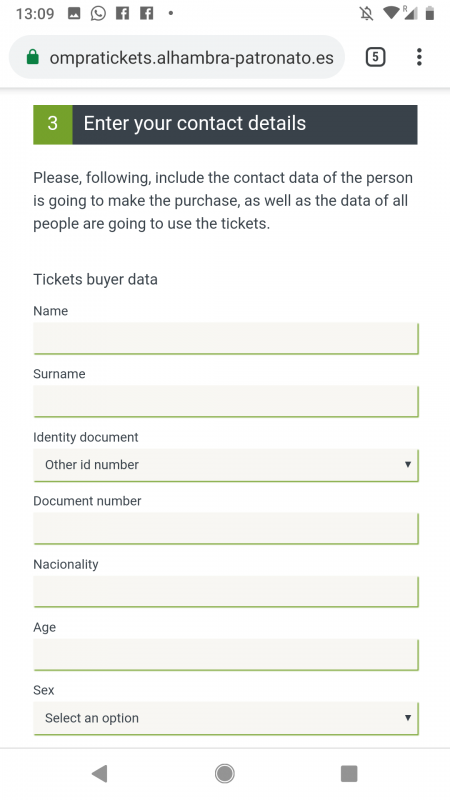 The tickets do say that you should always have them on you, so if you have a particularly independent group of people, be sure to email the PDF to everyone. Everyone’s name will be on their ticket. 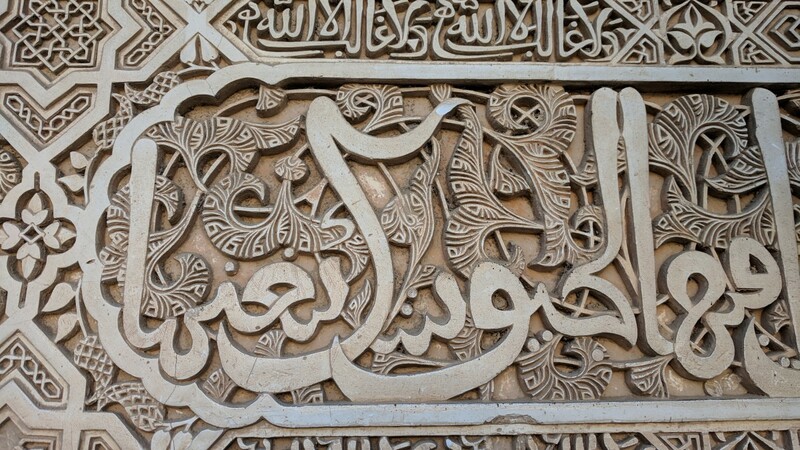 Arrive at the Alhambra 60-90 minutes ahead of your Nasrid Palace entry time. How long you need will depend on how you’re getting there. Google says it’s a 30-min walk from Granada, but it’s uphill. We drove/parked, and it took less than 30 minutes from our centrally located airbnb to the parking lot, leaving at 9:15am on a Friday. There is also a public bus route. Once you arrive, walk (slowly) through the park and visit Alcazaba first. It’s a ticketed entry, but not with time slots. There’s less to see and it’s a quick walk-around with great views of Granada. When you exit, cross the Nasrid Palace line to view the Palacio de Carlos V (the big, open, round building). Once through the Nasrid Palaces, wander back through the gardens. From there you can meander over to Generalife (we actually didn’t go to that half) which is not time-ticketed. 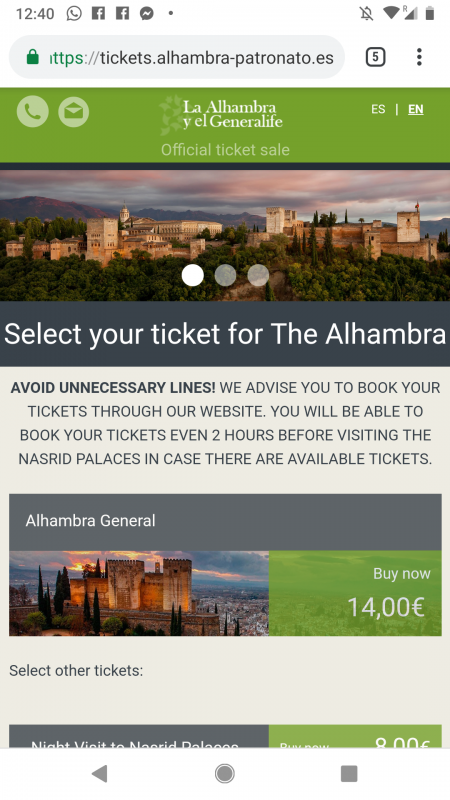 The Alhambra has certainly earned its place among Spain’s and Europe’s most-visited sites. It’s immense and impressive. I hope you can enjoy it — even if it’s last-minute! The Alhambra is Kind of a Big Deal But You Probably Already Knew That | Ellen Says Hola! Granada's Tapas Aren't Free (But their System Is Great) | Ellen Says Hola!